If you remember building cars and trucks out of LEGO® bricks as a kid, then your jaw is going to hit the floor the moment you lay eyes on the LEGO® Chevrolet Silverado. Built through a collaboration between Chevrolet and students at Oxford Community School’s FIRST LEGO® League and Detroit’s Ralph Waldo Emerson Elementary’s A World in Motion Program, this life-size replica of a 2019 Chevy Silverado 1500 LT Trail Boss is a sight to behold no matter your age. The LEGO® Chevy Silverado was put together by 18 LEGO® Master Builders, who required more than 2,000 hours to put the 334,544 pieces in their proper places. The end result is a stunningly accurate representation of a red Silverado 1500 LT Trail Boss that stands 6 feet high and 20 feet long and weighs 3,307 pounds. 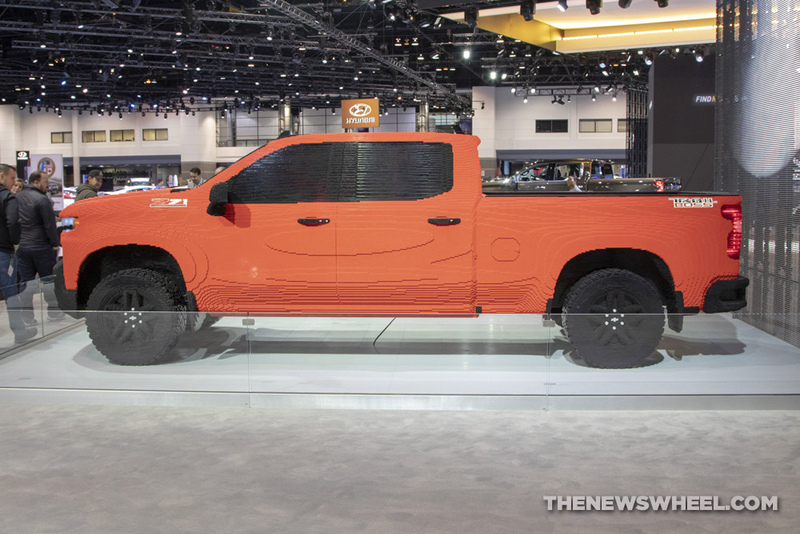 The LEGO® Chevrolet Silverado was created to help promote both the all-new Silverado and The LEGO® Movie 2: The Second Part, which hit theaters in February. While we don’t have a full-size rendering of a Silverado made from LEGO® bricks in our showroom, we’ve got something arguably even better: the real deal. Stop into Bill Harris Auto Center and take a real 2019 Chevy Silverado 1500 for a test drive.